"The City of Belleville is a beautiful city located in Eastern Ontario Canada. This website is dedicated to the merchants of Belleville and the thousands of touristswho visit each year. "To assist you browser challenged people, Beautiful Belleville has provided the following menu (below) to assist with your navigation of this tourism site. Link Exchange with Beautiful Belleville. 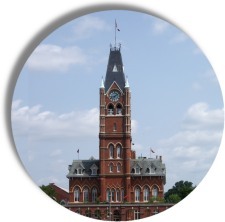 Beautiful Belleville is the first choice for information on Belleville, Ontario. What to see. What to do, where to stay and where to eat while in Belleville. Including maps, about Belleville, events, festivals, calendar, photos, pictures, directory of, business, products, services, Belleville Fair, and the Belleville weather. "Belleville is a beautiful tourism city; it is well worth the venture out to see it. There is always something going on from early spring to late fall and the winter sports,quiet and solitude makes Belleville a great get-away spot to kick-back and relax. "Make Belleville Ontario your next tourism destination . . . or better still move to Belleville and make it your home for life. Belleville - what life is really all about.